Its now 72 hours since flight MH370 mysteriously disappeared while en route to Beijing with 239 people on board. While the authorities are doing their best with a massive search and rescue effort, a lot of questions are being asked as to what has happened with the flight. We’ve compiled a few of the more important questions and answers below. If you think have a question to ask, leave it at the comments section and we will try to get an answer for you. Q: Why hasn’t the plane, or wreckage been found? There are many reasons for this, and the most grim scenario is that the plane suffered a high-altitude catastrophic disaster, either a mechanical failure or a strong explosion. This would have caused the debris to have been spread over a wide area and swept out by the currents before the search and rescue (SAR) efforts were started. Another possible reason is that the plane deviated from its flight path and ended up hundreds of miles away from the current search area. Q: What was the last known point of contact? 120 nautical miles east off Kota Bahru, 40 minutes into the flight at 1.30am. Q: Did the flight enter Vietnam air space and if it did, did it establish contact with the Vietnamese Air Control? Q: Is it normal for a plane to disappear from radar and go silent, and nobody is sent out to look for it immediately? The problem with flight MH370 is that is it disappeared at a point where it was leaving Malaysian Airspace and entering Vietnamese air space. It is not known if the Vietnamese air force scrambled any jets to look for the plane when it disappeared. Radar works by sending out radio waves or microwaves, and when it hits an object, and the object bounces back a small amount of the energy back to the transmitter. Its how blind bats find their way around. By compiling back the waves, and calculating the time it took for the waves to come back, the distance, height speed and other details of an object can be extrapolated. In the case of MH370, it mysteriously went off from radar at about 1.30am. The only two possibilities that seem could make the plane disappear from in an instant is if it disintegrated or if it went into a steep nosedive. Q: Could somebody on the plane have jammed the radar? No. There are a number of ways to jam or fool a radar, but its not something that can be done from within the plane. You would need to be at the radar base station to jam the radar, or you would need a decoy or special paint to hide the entire plane from a normal radar. Q: I heard that the military radar is more powerful and could have found the flight. Is this true? Yes, Military radars are much more powerful, but to date, they have not released any information to the public. Q: Why are they searching at the Straits of Malacca? We don’t know, and we’re quite surprised that nobody has asked the question to the DCA. It is quite impossible for the flight to have made a reverse flight over the Peninsular without being detected by any radar stations. Q: If the plane made a reverse and headed back towards land, why are they not searching on land? We have reason to believe that the land search has already been conducted and they did not find any clues to support the theory that the plane came down over land. Also, if it was on land, the Emergency Locator Transmitter (ELT) as well as other beacons would have been picked up by rescue crafts. A low flying aircraft the size of a Boeing 777 would have woken up a lot of neighbours. Q: Does the 777-200ER have an ACARS system on board? If yes, where is the data? Yes it does, but we do not know if the MH370 had its system activated or if Malaysia Airlines had it set up to be used on its aircraft. ACARS (Aircraft Communications Addressing and Reporting System) if activated automatically sends short messages to ground controllers, reporting the position and critical data like speed and altitude of the plane. In the event of a disaster, the ACARS system would have continued to relay data back to the ground controller until a point when it became disabled. Q: Why don’t we send in the submarines, submarines are !##%#$# awesome!! This seems to be the question that has been making its round across our forums for some days now. Why? Because our subs aren’t nuclear powered like the one used to help locate Air France flight AF447. Without nuclear power, the sub needs to return to base to refuel. Scouring the ocean floor when you don’t know where to look is another big problem. Even with sonar, its like using a torchlight to look for a needle on a dark carpet. The South China sea isn’t very deep, so its much easier (and faster) to just send divers down from rescue vessels. More Q&A’s tomorrow. 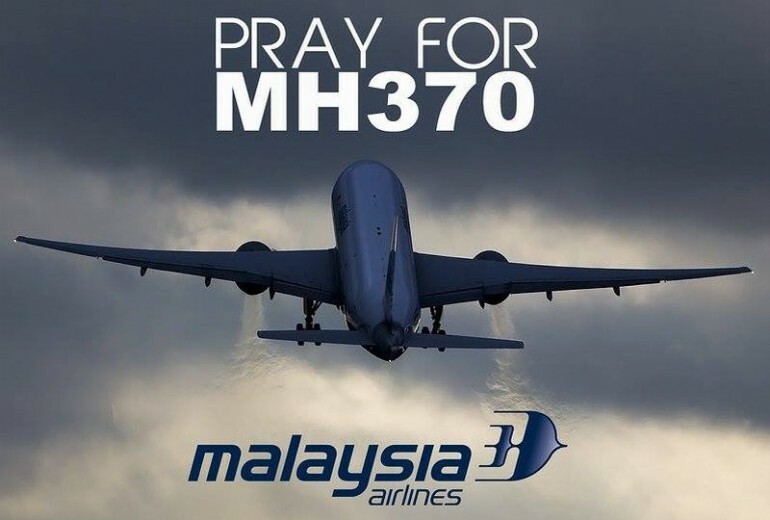 Keep the questions coming, and lets all pray for the best for #MH370.